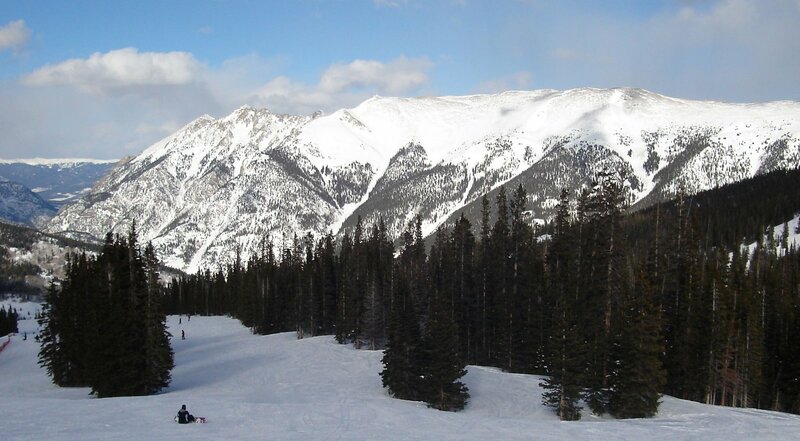 We drove to Colorado for a President's Day weekend ski/snowboard trip. It's usually a 14-15 hour car ride from our house in Minnesota to Dillon or Frisco, Colorado. We've done this trip several times, leaving after school on a Friday and driving through the night. Doug drives most of the trip, and I take over for a few hours in Colorado so he can nap before we get to the mountains. The weather doesn't alway cooperate, and one time we drove through a blizzard in southern Minnesota. We made it through by going into 4 wheel drive and slowly following the semi truck in front of us while the boys counted the vehicles in the ditches. They stopped after 40. This year, we experienced high winds and white-out conditions near Council Bluffs, Iowa, so we stopped in Omaha, Nebraska and stayed overnight. The news said the winds were up to 60 miles per hour. Yikes! We slept until 3:30 the next the morning, then finished our drive to the mountains. The Eisenhower Tunnel was open when we got there, but there was a lot of traffic. We found out later that after 18 inches of new snow, and high winds blowing more into slide areas, the Colorado Department of Transportation closed the tunnel for a few hours that morning while they triggered avalanches on both sides of the tunnel. This dumped up to 10 feet of snow on the highway that had to be cleared before the tunnel could be re-opened.